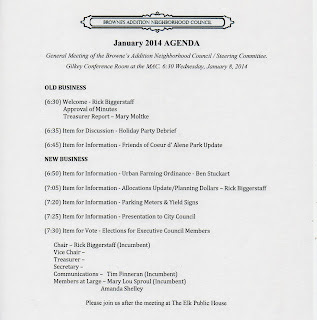 Please join us for the January 2014 General Meeting of your Neighborhood Council. 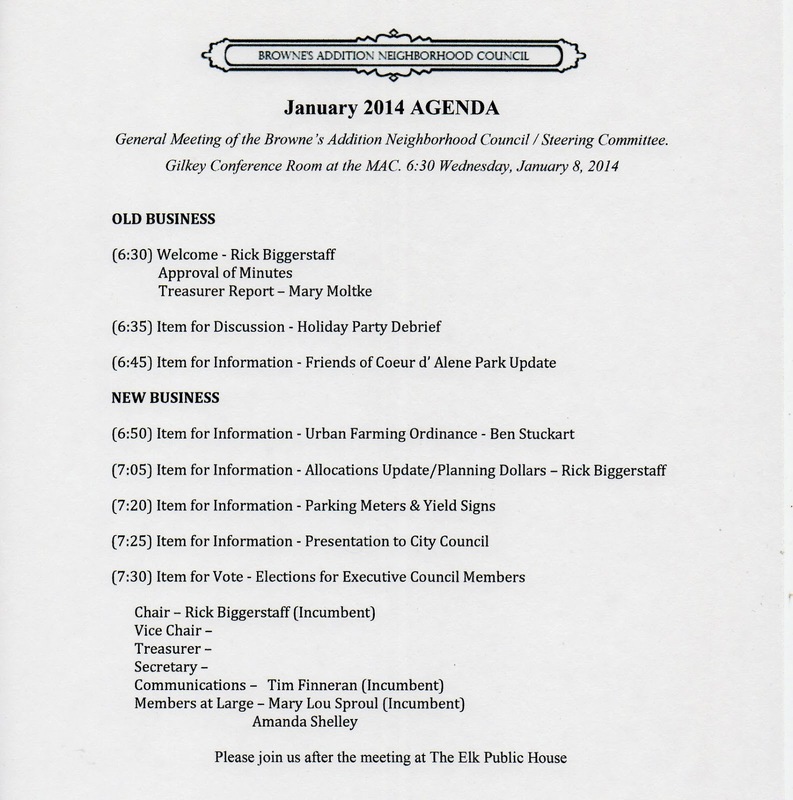 It's all about Elections, Planning Dollars, Parking Meters and a presentation on Urban Farming by City Council President Ben Stuckart. It all starts at 6:30 this Wednesday evening at the Museum of Arts and Culture and as always, we will get you home in time to watch your favorite Prime Time TV Show!